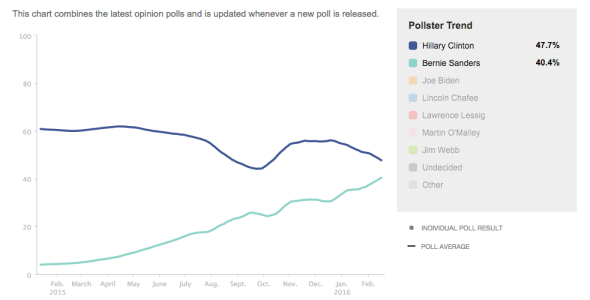 Poll: Clinton leads Sanders by only 2 points nationally. 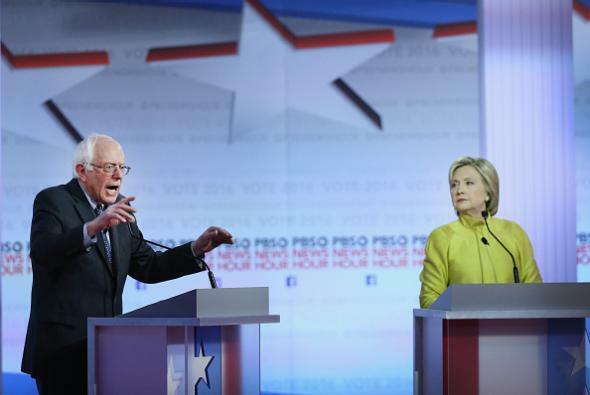 Bernie Sanders and Hillary Clinton at the debate in Milwaukee on Thursday. In Nevada, whose Democratic caucuses will be held Saturday, a new CNN/ORC poll finds Clinton with a one-point lead.